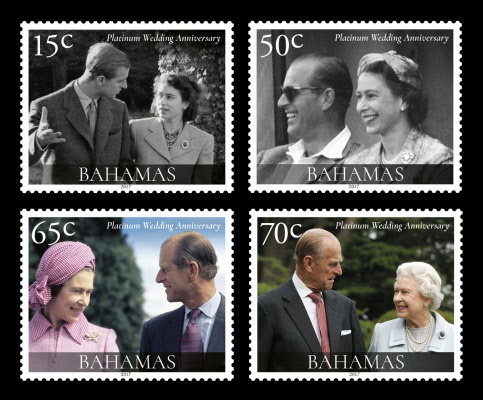 The 70th Wedding Anniversary of The Queen and the Duke of Edinburgh is the most anticipated royal event of the year. In 2007 the Queen became the first British monarch to reach her Diamond Wedding Anniversary and in 2015 became Britain’s longest reigning monarch. Now, as the 96-year-old Duke of Edinburgh prepares for his retirement from public duties following decades of royal service and with the Queen in her 92nd year, they prepare to mark this new and historic milestone. It was on 10 July, 1947 that the happy couple were pictured arm-in-arm at Buckingham Palace following the official announcement of their betrothal. The 21-year-old Princess beamed as she showed off the elegant engagement ring (made using stones from one of Philip’s mother's tiaras) presented to her by her future husband, Lieutenant Philip Mountbatten, who was 26 at the time. Philip had served in the Royal Navy during the Second World War and was dressed in his smart naval suit for the engagement photos. He had renounced his Greek citizenship and titles (he was a Prince of Greece and Denmark by birth) and had become a naturalised British subject. The love story of Philip and Elizabeth, who are distant cousins, is said to have begun back in 1939 when the young princess was just 13 years old. When they first met, during a royal visit to his naval college in Dartmouth, it was love at first sight. The dashing 18-year-old Philip is said to have caught her eye as he entertained her by jumping over tennis nets and they started to write to each other. The King's official biographer, Sir John Wheeler-Bennett, recalled: "This was the man with whom Princess Elizabeth had been in love from their first meeting." Elizabeth could have married Philip when she was just 17, the age of his first formal request to be considered as a suitor, but her parents thought she was too young. Philip was invited to spend Christmas 1943 with the royal family at Windsor Castle and by the end of the war newspapers were speculating about romance. They married in Westminster Abbey on 20 November, 1947. On the morning of the wedding Philip was made Duke of Edinburgh by his father-in-law, the King. He would not become a prince again until 1957, when Elizabeth bestowed the title upon him. Soon after their wedding the happy young couple welcomed the birth of Prince Charles in 1948, Princess Anne in 1950 and then within five years of their marriage, Elizabeth had acceded to the throne after the death of her father in February 1952. As the royal couple prepare to mark this latest milestone The Bahamas together with Ascension Island, the British Antarctic Territory, the British Virgin Islands, the Falkland Islands, South Georgia & the South Sandwich Islands and Tristan da Cunha look back at their relationship and long and happy marriage. FDC The Queen and The Duke of Edinburgh at Buckingham Palace on 26th November 2001. Part of a series of photographs taken to commemorate the Golden Jubilee in 2002. (Photo by Lichfield/Getty Images).